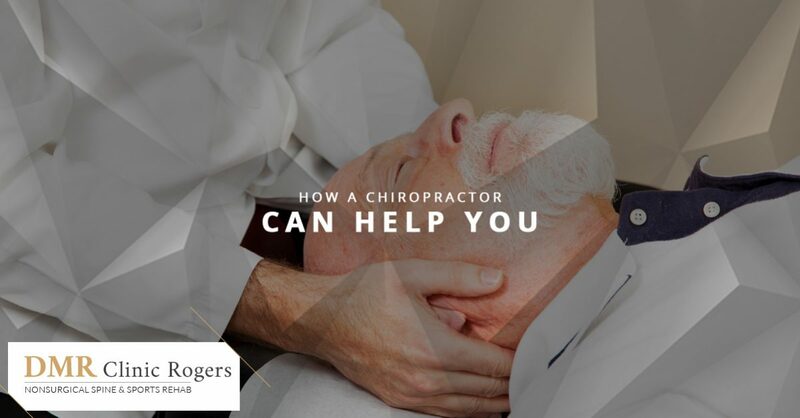 At DMR Clinic Rogers, we offer chiropractic care in collaboration with massage and physical therapy to offer the highly effective and innovative DMR method. If you have never received chiropractic adjustments, you may be wondering what all the fuss is about. After all, it is a drug-free and surgery-free way to relieve pain and promote healing, which might sound too good to be true. In reality, chiropractors have aided a wide range of people with a variety of ailments, and you may be able to benefit as well. Chiropractors specialize in neuromuscular disorders, treating them through manual adjustment of the spine. According to chiropractors, the connection between the spine and the nervous system as a whole provides a direct way to improve our health. When the spine is out of line, the nervous system is not functioning optimally. When a chiropractor realigns the spine, it reduces pressure on tissues, easing inflammation and pain and in turn, improving health. How Can A Chiropractor Help Me? Years of research have found that chiropractic care can be helpful for many different ailments. While we will work with you to diagnose and determine the best course of care for you, in the meantime, here are just some of the conditions that have proven to be treatable with chiropractic adjustments. 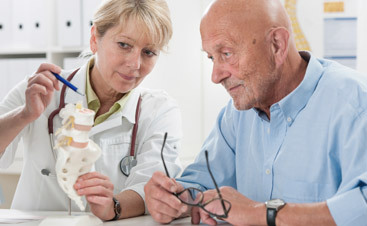 Chiropractic care is one of the best, if not the best, way to treat sciatica. In a recent study by the European Spine Journal, researchers found that manual adjustments had a 72 percent success rate in treating sciatica, compared to 20 percent success with physical therapy and 50 percent success from cortisol injections. Chiropractors can offer highly effective drug-free pain relief from sciatica with much greater success than other treatments. In the Journal of Manipulative and Physiological Therapeutics, patients who experienced low-back pain were more satisfied and saw more improvement after one month of chiropractic care than patients who used traditional Western medicine for pain treatment. More than half of chiropractic patients saw an improvement in their back pain, while a mere 13 percent saw improvement from traditional medicine. 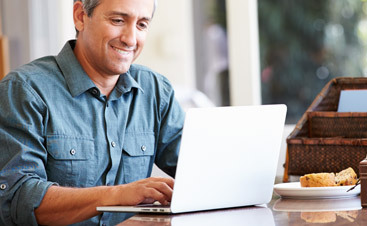 One study from the British Medical Journal looks at 183 patients with neck pain. One third received chiropractic adjustments, one third used physiotherapy, and one third used a general practitioner. After a year, chiropractic patients not only healed faster than their counterparts, they also spent about a third of what the other two groups did on care. So, not only is chiropractic care an effective method, it is also relatively inexpensive. Headaches are the second most common reason people go to the chiropractor, and therefore, a lot of research has been conducted on how helpful chiropractic care is for both tension headaches and migraines. With more than 230 peer-reviewed studies supporting chiropractic care’s efficacy in treating headaches, it is not surprising that the chiropractor is one of the best ways to address this problem. If you have high blood pressure, the answer may not lay in medication, but in a visit to the chiropractor. The leading expert on hypertension, George Bakris, conducted a study on chiropractic adjustments and hypertension, and found that one manual adjustment had the same effect as two blood pressure drugs. On top of that, the effect of one adjustment lasted for six months! There is also evidence to suggest that chiropractic care can also help hypotensive patients by raising their blood pressure levels back to normal levels. This is only a small sample of the conditions that can be treated with chiropractic care. If you need a chiropractor in Rogers, we can help. Contact us to learn more about the DMR method and how chiropractic treatment fits into our model of care, and schedule an appointment today.